What Is K-Metering? And Why Are You Telling Us About Your Mastering Session? 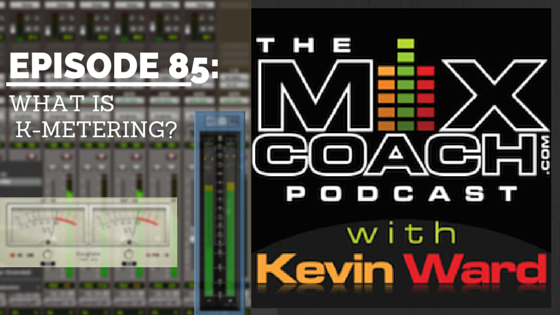 On this episode of the podcast, Kevin talks about critical advice he received during a mastering session, and discusses a type of metering developed by Bob Katz called K-System metering. K-Metering consists of three different scales: K-12, K-14, and K-20. Check out this episode of the podcast to learn what each of these scales are used for, and learn why you should be using K-Metering. How to prepare your mix for mastering. What K-System metering is, and why you should be using it.